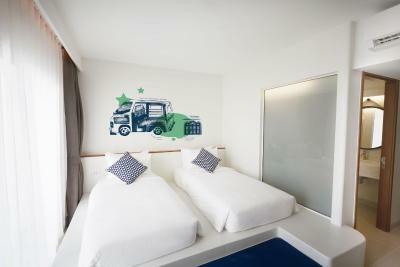 Lock in a great price for Lub d Phuket Patong – rated 8.9 by recent guests! The vibe of the hostel was great. Good pool. However, the staff was not cooperative. Excellent location that could not be beat. Room was super trendy, clean, and comfortable (a/c made it nice and cold too). Very clean. 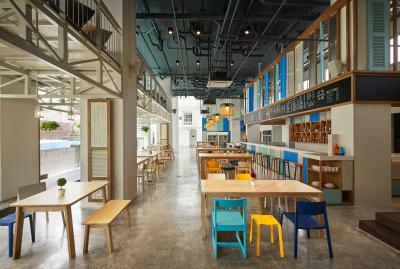 Helpful Staff The lobby The spirit of the place is youthful. Designed for the young people. Help yourself policy which is nice. 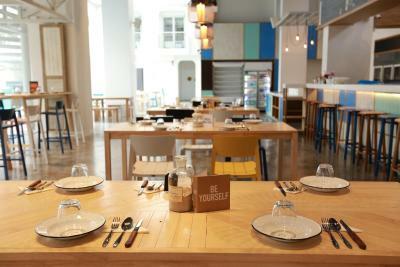 Everything from the ambiance to the vibe ... Great place to chill and make new friends ! .centrally located ,very close to the beach and all other amenities. Will definitely go back! 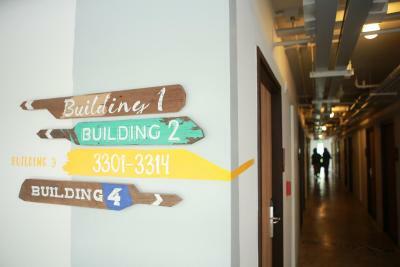 There is a lot to do in the hostel. Food in the bar was quite OK too. The staff is friendly and helpful. They are talkative and do good jobs with their work. The karaoke night is so good. I’m very impressed. The bar, I like it. I will stay here next time surely. The facilities, the common area, the pool. I also liked that it was in close proximity to the entertainment, pubs, beach, restaurants and clubs so we never needed transportation. The food! The location! The vibe!!! The staff! The price!!! You cannot go wrong here. Affordable, great looking, centric, a 5 mins walk to the beach, near night life venues, you won't regret booking here, do it!! And do it for several days!! 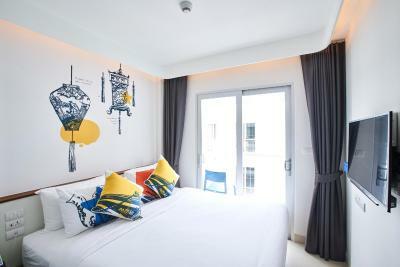 Lub d Phuket Patong This rating is a reflection of how the property compares to the industry standard when it comes to price, facilities and services available. It's based on a self-evaluation by the property. Use this rating to help choose your stay! One of our best sellers in Patong Beach! 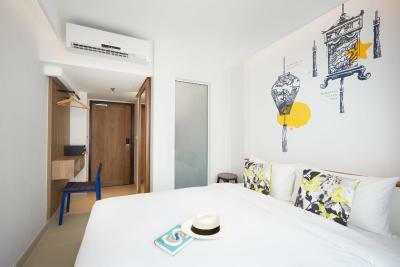 Located only a short walk from Patong Beach and the city's entertainment hub Bangla, Lub d Phuket Patong offers both private and dormitory-style rooms with air conditioning. 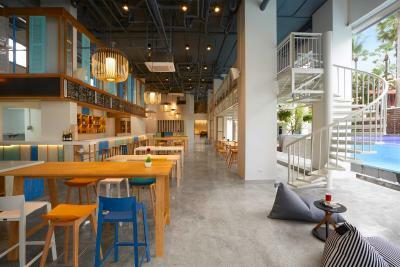 The stylish hostel features its own outdoor pool, free WiFi in all areas and various shared lounging spots. 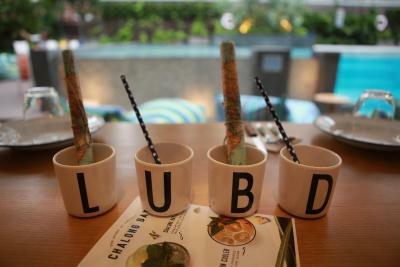 Private rooms at Lub d are complete with a wardrobe, a safety deposit box, and a private bathroom. Some units have a mini-bar, a fridge or a coffee maker. 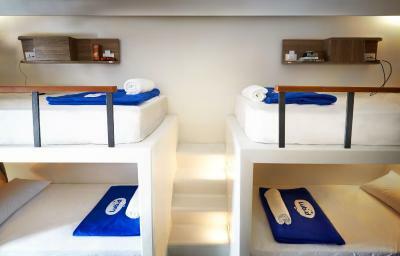 Guests of dormitory rooms are provided with a personal locker, a safety deposit box and a towel. 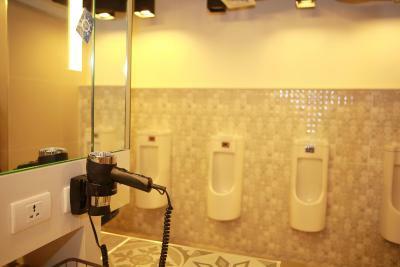 A hairdryer is available for both private and share accommodations. 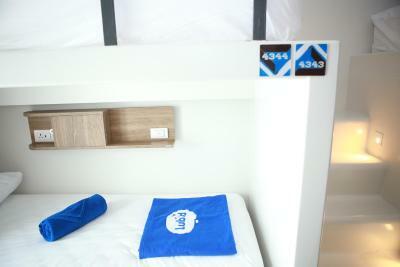 Guests of Lub d Patong may approach staff at the 24-hour front desk for luggage storage service. Interesting excursion trips can be arranged at the on-site tour desk. Self-service laundry service facilities are also available. 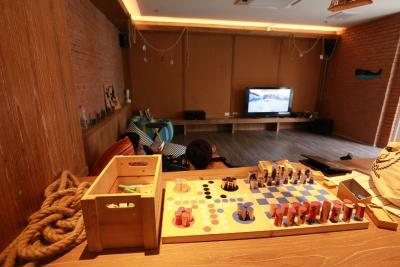 The co-working space and games room awaits guests looking for a relaxing afternoon indoors. A good Muay Thai workout session can also be enjoyed at the full-size boxing ring right in the lobby. 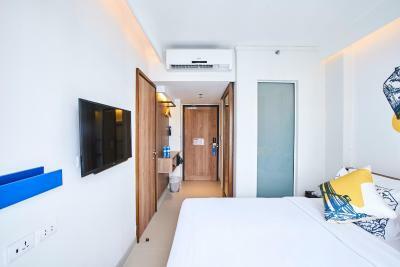 Within 0.6 mi of the property, guests can find Jungceylon Shopping Center, while Patong Pier and Kalim Beach can be reached under 1.1 mi of the hostel. Phuket International Airport is 14 mi away. 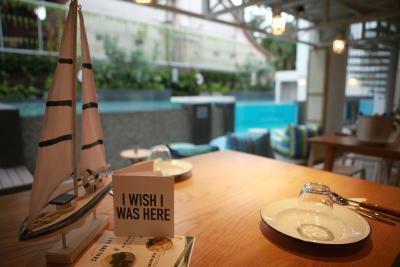 Tasty cuisines, refreshing drinks, desserts and an all-day breakfast can be sampled at the hostel’s Splash Bar and Bite which opens daily from 06:30 - 23:00 hrs. 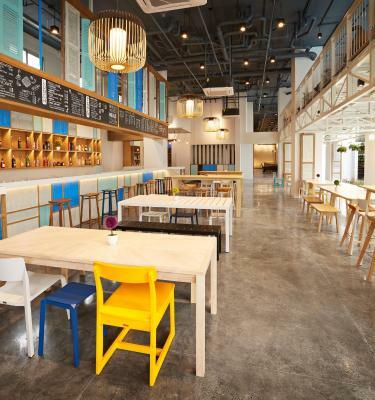 Alternatively, a number of dining outlets are just a few steps away from Lub d Phuket Patong. 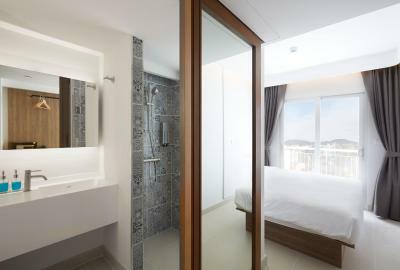 뀐 Located in the top-rated area in Patong Beach, this property has an excellent location score of 9.4! 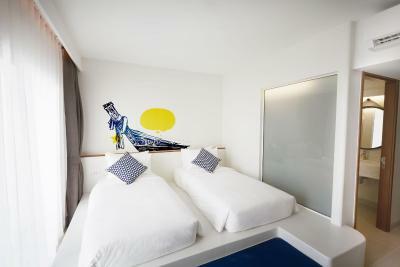 When would you like to stay at Lub d Phuket Patong? 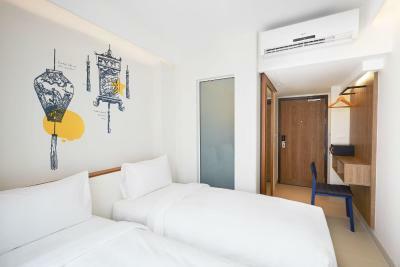 Offering more space and a mini-bar, this double room comes with a TV, a desk and a refrigerator. 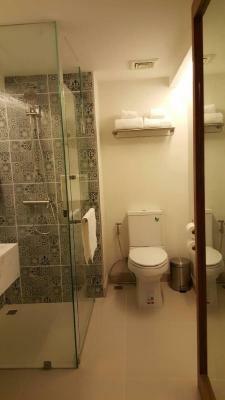 Its private bathroom is supplied with a shower, a hairdryer and free toiletries. 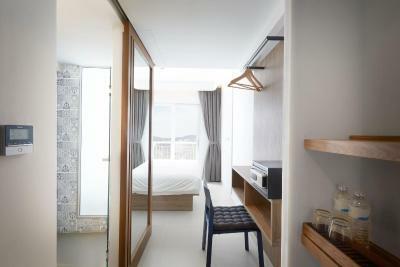 Offering more space and a mini-bar, this twin room comes with a TV, a desk and a refrigerator. 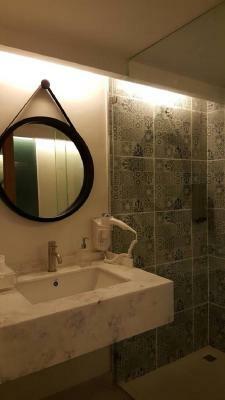 Its private bathroom is supplied with a shower, a hairdryer and free toiletries. 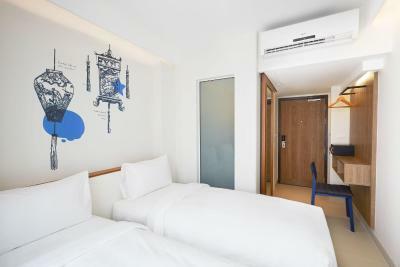 This double room has air conditioning, a safety deposit box and a private bathroom with a shower and free toiletries. Guests can enjoy views from the private balcony. Featuring a private balcony, this twin room has air conditioning, a safety deposit box and a private bathroom with a shower and free toiletries. 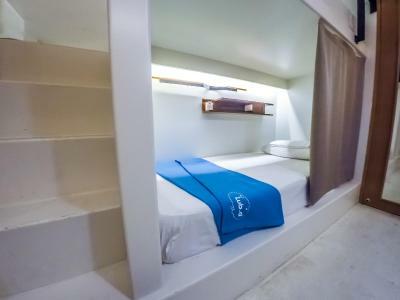 Guests of this air-conditioned room are provided with a towel, a personal locker, a safety deposit box, and an access to a shared bathroom supplied with a shower and a hairdryer. This bed in dormitory has a balcony, air conditioning and tile/marble floor. House Rules Lub d Phuket Patong takes special requests – add in the next step! Children 5 and older are allowed at this hostel. Lub d Phuket Patong accepts these cards and reserves the right to temporarily hold an amount prior to arrival. The room was extremely small for four people. And the plug points for charging wasn't working. Very lazy staff. The AC takes long time to adjust the room temperature and not the whole room. I had to change the AC temperature to 19 to cool the room. We wanted to rent the bike for an early morning stroll but we can only do so when the activity time opens, which was at 9am. Kinda late for an early stroll. Such facility you could probably just let the reception handle. It's not like we have to wait for everyone else to come and cycle together. Just wanted to rent a bike. The breakfasts have to be ordered and there weren't many varieties to choose from. Not exactly palatable too. I kinda wish they were buffets. The staffs could've used more smiles. The location is superb. Really near the beach. Lots of convenience store around like FamilyMart and 7eleven and walking distance to Jungceylon and Central. Also surrounded by massage parlours offering Thai massage at a very reasonable price. Also near souvenir shops. 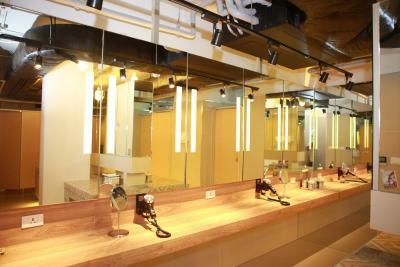 The facilities are nice. There are lots of activities to join. Easy check in and check out. Pool is open till late so that's a plus point. Rooms are clean and cozy. We enjoyed our netflix binging with friends the last night we were there. Check in time could be made a little more early. Rooms facing the pool are quite loud (but we knew this in advance). The standard double rooms are really small, so take the nicer room if you can! Cocktail quality at the bar was pretty...bad.